Coffee-mate Facebook page has a high value coupon for $0.75/1 Creamer! Coupon is limited to the first 100,000 fans. *HOT* Minute Maid Juice Box printable coupon! There is a High Value $1/1 Minute Maid Juice Box Printable Coupon! I used Zip Code 12345 to find this Coupon. Remember you can Print it Twice! USB Cord for iPod, iPad, iPhone ~ $0.77 + FREE Shipping! 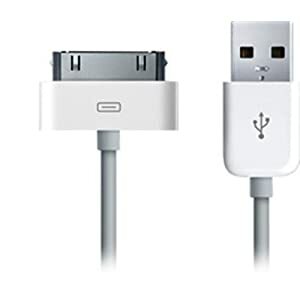 There is a very low price on USB cords on Amazon.com! Click HERE to get a USB cord for just $0.77 (Normally $11.99) + FREE Shipping! Roper Shoes only $5 + FREE Shipping!!! 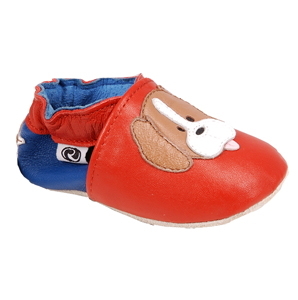 There is a HOT Sale on Totsy for Roper Footwear starting at $5! They carry sizes from Newborn- Adult! Tons of cute styles! Plus New Members get FREE Shipping on their purchase! KOHL’S 20% Off printable Coupon! There is a new 20% Off KOHL’S Shopping Pass Coupon! Coupon is valid in stores December 1-5th. FREE $10 Target Gift Card Coupon! Target has released a coupon for a FREE $10 Target Gift Card when you make a $50 purchase! This is an awesome coupon and will run out of prints soon, so print yours now! Thanks for the tip Cat DeLira! Code worth 8 Swag Bucks! Swag Bucks has a code worth 8 Swag Bucks on their Blog! Code is only Valid until 11:00am PST. High Value Reynold’s Wrap Coupon! There is a High Value $1.25/1 Reynold’s Wrap Printable Coupon! Nintendo Wii Game on Sale – $5.50! Let’s Tap for Nintendo Wii is on Sale on Best Buy’s website for just $5.50 + FREE shipping! High Value Brawny Paper Towel Coupon = FREE Paper Towels! There is a High Value $0.55 Off Brawny Paper Towels Printable Coupon! If you have a store in your area that Doubles Coupons you can get a FREE Single Roll of Paper Towels – Brawny single rolls are frequently just $1!